Below are some useful tips on how to use the service more easily if you have a disability. 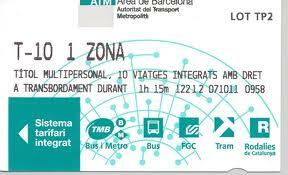 Barcelona’s buses are all fully accessible for wheelchair users and people with walking difficulties. You just need to wait next to the area with the disabled symbol on the floor and the driver will let down the electric ramp to allow you access. You then secure your wheelchair in the designated area or use one of the reserved seats for disabled people at the front of the bus, non disabled people are usually very curteous and will stand up for you but don’t be afraid to let them know you need a seat if they don’t! 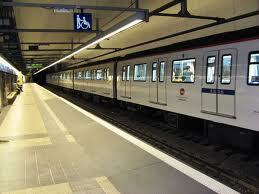 Barcelona are working hard to improve the accessibility of the metro system but still have a long way to go. Many stations are now fully accessible with lifts to all floors and level access onto the trains but some stations still have a lot of stairs and inaccessible trains.Below is a link to the printable map with full details of all accessible stations. The most cost effective way to get around is to buy a T10 card, it allows ten trips on either bus or metro and more than one person can use it. See http://www.tmb.cat/en/bitllets-i-tarifes/-/bitllet/402 for more details.